Born in Riga, Adja Yunkers studied art in Petrograd (St Petersburg). He left Russia for Europe in 1919 and lived in Germany, France, Spain and Sweden, before settling in New York in 1947. 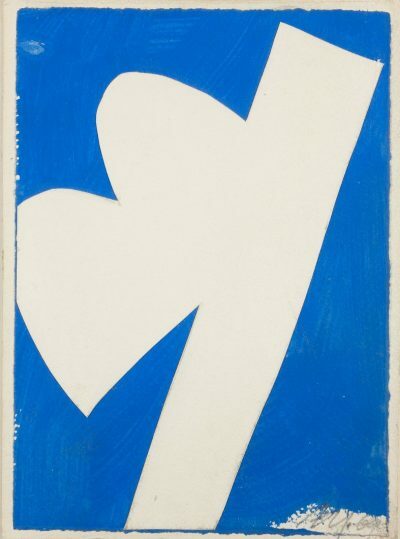 Influenced by Swedish Surrealism, German Expressionism and American Abstract Expressionism, his technically complex, often large scale, wood-cut prints and paintings described the materiality of colour, while his later works made extensive use of negative space and collage. Yunkers exhibited widely in the United States and Europe. His work is represented in major public collections including the Victoria and Albert Museum, London; the Rijksmuseum, Amsterdam; MoMA, New York; and the Guggenheim, New York.